Due to a shortage of X200 Tablets and difficulty sourcing more, the price is increased from usual. 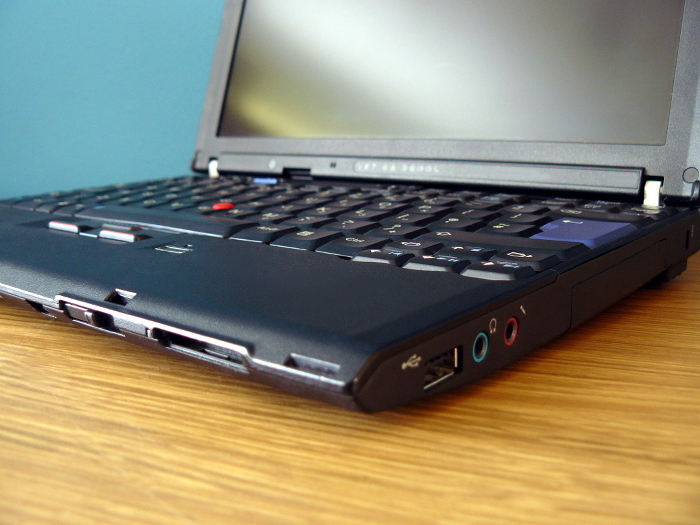 For a cheaper laptop with faster delivery, we recommend ordering the non-tablet Libreboot X200 instead. If you still require an X200 Tablet, we recommend sourcing one yourself (without Libreboot) and send it to Minifree to be flashed. Doing it this way will be far cheaper. Did you know that most modern Intel and AMD computers come with backdoors implanted by the NSA and other agencies? You do now, and it isn’t pretty. And it’s getting worse. Since the Snowden revelations, we know that most computer products contain backdoors or have insecure software with exploitable bugs. Manufacturers intentionally insert insecure backdoors for profit, putting your company at risk of data theft, corporate espionage or worse. The Libreboot X200 Tablet from Minifree changes that! The Libreboot X200 Tablet from Minifree is a business-grade, secure owner-controlled laptop that safeguards your privacy, security and freedom. It sports a dual-core Core 2 Duo SL9400, Intel GMA 4500MHD graphics and supports up to 8GiB RAM, making this an ideal high-performance workstation with the Intel GM45 and ICH9 chipsets. It runs 100% entirely on free (as in freedom), libre software, from the BIOS, right up to the operating system, drivers and applications. It comes with the free (as in freedom) Libreboot BIOS replacement, and Trisquel GNU+Linux operating system, which is FSF-endorsed. The X200 Tablet is a special version of the regular Libreboot X200. The X200 Tablet comes with an IPS screen which has better colour reproduction and contrast. It also comes with a wacom tablet built into the screen, where the screen can be rotated in such a way that the laptop becomes a tablet. This makes the X200 Tablet useful for drawing, or for any kind of graphical design work. Your Libreboot X200 Tablet obeys you, and nobody else! The Libreboot X200 Tablet comes without the Intel Management Engine or AMD PSP! Shipping worldwide via UPS! 2-5 day shipping to most of the world (we will ship to any country on Earth), with a 2 year warranty as standard, and free technical support. Prices are in EUR; if you want another currency, use xe.com currency converter and simply pay in that amount in the other currency, at your local bank. Xe.com provides accurate exchange rates. By default, we ship with UK keyboard layout. Other keyboard layouts are available, for a small fee. We also sell bootable Trisquel GNU+Linux USB drives and USB mice. No-OS is also possible, besides Trisquel. Mention “no OS” in the textbox on checkout, and we will ship it with Libreboot but without an OS installed. 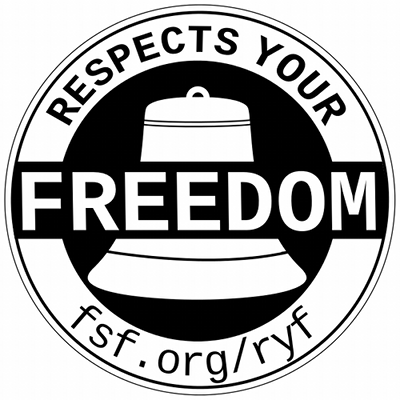 The Libreboot X200 is certified by the Free Software Foundation, under their Respects Your Freedom hardware certification program. Libreboot is free software which initializes the hardware in the system and boots your operating system. It replaces the non-free BIOS usually found in most laptops. Minifree’s founder is also a Libreboot developer (and founder of the libreboot project). 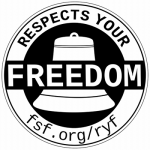 Profits from Minifree sales directly fund the libreboot project. Trisquel GNU+Linux operating system comes preinstalled. Trisquel comes with all the standard applications for Web browsing, instant messaging, office and productivity, graphics editing, multimedia and more. Thousands of extra applications are also available to install from the Trisquel repositories, using the apt-get package manager provided. It even has games! We can also supply a USB drive with the Trisquel installer on it. This is useful, if you wanted to install Trisquel onto another computer. This is the full live installer, not the net installer. The X200 Tablet comes with a built-in wacom Tablet, which can be used for drawing. This includes applications such as Krita, which are popular for this purpose. 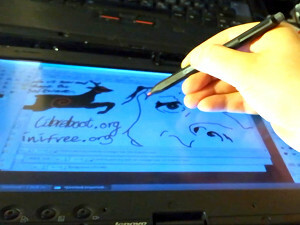 Drawing of libreboot logo and GNU logo (shown above) by Leah Rowe, to demonstrate the X200T’s capability as a tablet. Drawn in Gimp. This is a special version of the Libreboot X200. The Libreboot X200 Tablet is capable of everything that the X200 can do but has a better screen (IPS panel), with superior colour reproduction, contrast and viewing angles compared to the X200. The X200 Tablet also comes with a built-in wacom tablet, and a stylus pen that enables Tablet functionality. You can use it for drawing. This is good for graphics designers, and it can also be used for CAD-related work. 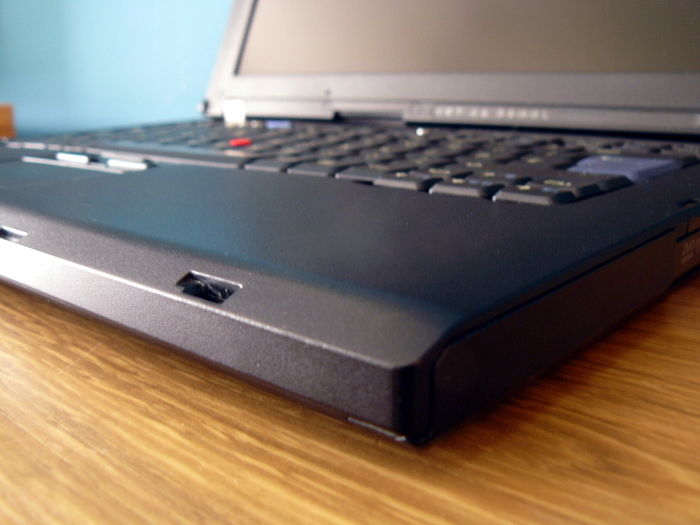 The build quality is also higher than that of the X200. 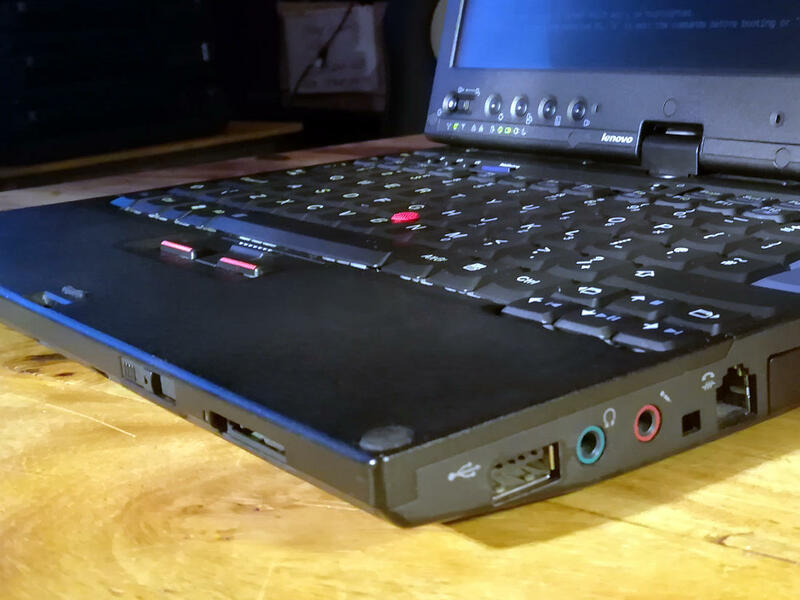 The extra price covers additional labour required (installing Libreboot on the X200T is non-trivial compared to X200). This fast, 12.1″ laptop is built with a strong chassis and shell, guaranteeing that the laptop will last many years. What storage and RAM configuration should I choose? The default option for the Libreboot X200 Tablet comes with 4GiB RAM and a 160GB HDD for storage. Minifree also provides upgrade options; a 480GB SSD or 1TB HDD. Minifree also provides an 8GiB RAM upgrade option. An SSD can bring with it faster application and OS load times, while also slightly increasing battery life due to lower power consumption. Meanwhile, if you need more than 480GB storage, the 1TB HDD is a good option. If you want extra performance and storage (more than 480GB), one option would be to use the 480GB SSD, and get an external 1TB (or higher) USB HDD for extra storage, which GNU+Linux will automatically recognize when you plug it in. 8GiB RAM upgrade is available in the drop-down list. More RAM improves system performance, by reducing the use of the swap partition, allowing you to run more applications and workloads simultaneously. The SATA slot for the CD/DVD RW drive on the X200 Tablet docking station can have a second HDD or SSD installed, replacing the CD/DVD RW drive. Minifree can provide this, along with a docking station. Just select one of the 2nd HDD/SSD options in the drop-down menu. (we also sell docking stations separate). If you want a 2nd HDD or SSD, but you also want a CD/DVD RW drive, there are USB CD/DVD drives that you can purchase online. These are all generic, and will work automatically in GNU+Linux. We also have a surplus of these DVD drives, so we can include one at no additional cost. The Libreboot X200 Tablet from Minifree ships worldwide!. The AC-DC adapter (charger) is 100-240V auto-switching, so it will work in all countries. Minifree will include an EU, UK or USA power cable, depending on your shipping address. If your country uses another type of power plug, Minifree can provide you with a €5 EUR reimbursement (on request) to cover the costs of purchasing the appropriate adapter. Alternatively, Minifree will source the appropriate adapter (or an actual cable) that will work in your country, and include it in the package. More plug types will be available by default, at a later date. Do you travel? Minifree can provide extra power cables for free (e.g. EU and US cable). If you need extra cables, mention it in the “notes” box on the checkout. 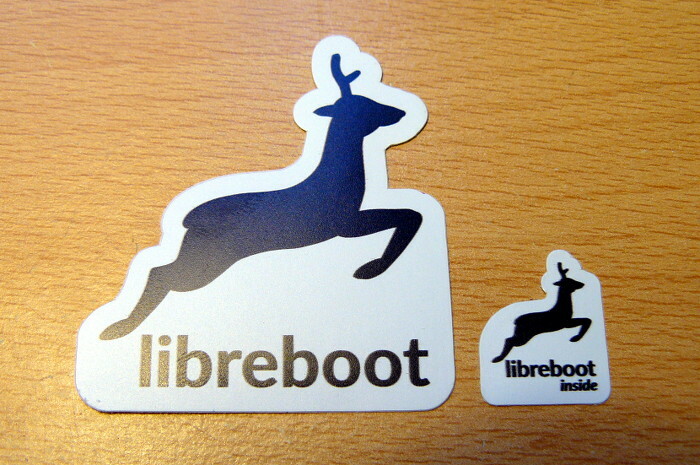 Libreboot stickers are also available to purchase. This raises extra funding for the Libreboot project. NOTE: Stickers are always included free with laptops (as of 2019-04-16 onwards). Stickers are available separately if you just want the stickers. If you’re ordering a laptop, you don’t need to order the stickers separately. Free tech support is also provided, for all customers. If you ever have any questions about your laptop, or need help with anything, Minifree is always happy to answer them via email, using the information on the contact page. UK, EU or US power cable (depending on country) included. Upgraded with an 802.11n wireless card (Atheros AR5B95, AR9285 chipset), ensuring full compatibility with free drivers in GNU+Linux. Backlight (brightness) control is fully functional in libreboot on this laptop. Battery: 6 cell or 9 cell shipped. In either case, we guarantee at least 45Wh capacity per battery (you can request higher capacity, and then we will make sure to get you the best, e.g. 84Wh or whatever is feasible. These batteries aren’t made new anymore, so new batteries are 3rd party ones not made by Lenovo. 3rd party batteries work well, but capacities vary per supplier). When new libreboot versions are released, it is possible to update to those newer versions using software (no disassembling required). Full instructions are provided. 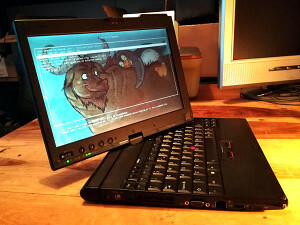 The Libreboot X200 Tablet is a modified ThinkPad X200 Tablet containing reconditioned parts, with libreboot and GNU+Linux preinstalled.